Hotel Suite Esedra, Naples. Suite Esedra Hotel Naples. 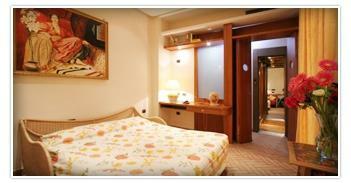 Suite Esedra: a charming, elegant and high-class hotel in the heart of Naples. A refined hotel that will make you enjoy the pleasure to stay in an ancient home, where all is accurate down to the smallest detail, in order to offer you a comfortable stay both for business or pleasure trips. From the damask fabrics chosen with care, to the splendid balconies decorated with flowers, from the curtains to the library, ideal place where you can relax and enjoy a tranquil moment with a book or newspaper. The welcome is very important for us: the warm atmosphere of a real home with a professional and attentive staff that is at your disposal, in order to make you enjoy in the best way Naples and its unique atmosphere. We are the perfect choice in order to welcome every kind of travel in the city and all the credit cards are accepted. You can visit the heart of Naples, also its historic centre, where you can discover an extraordinary heritage that makes it one of the best Italian cities. Furthermore, the business area is situated close to the hotel. In the morning an abundant buffet breakfast waits for you, which is served over an ancient table of the 19th century, so you can speak and meet your friends and at the same time enjoy fresh and natural products. Don't forget that the hotel offers every modern comfort, like: satellite TV in our living room, a private office that you can use for your business meetings completed with meeting room and internet access.